Commercial interior designing is all about the art and science of uplifting the interiors of commercial space by rendering the visitors an aesthetically pleasing environment. As experts in the field of commercial interiors, we focus on understanding the unique image of your business and thereby go on to create spaces which can fit well with your changing requirements. Our team of expert designers offers an integrated design plan by ideating them in lines of the customer need. Our designers are dexterous and multifaceted who bring about the one-stop solution for commercial design and the project execution. We believe that the best interior design is one that catches the eye of clients as well as creates a space that is enriching and comforting for individuals. 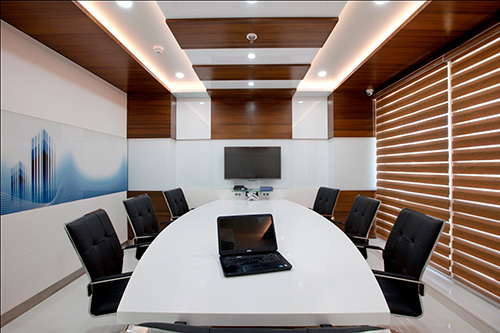 Out Commercial Designing projects include designing office spaces with best interior ideas that fit well the taste of the customer.